Within the last week, I finished collecting the 1991 Cobra roster. 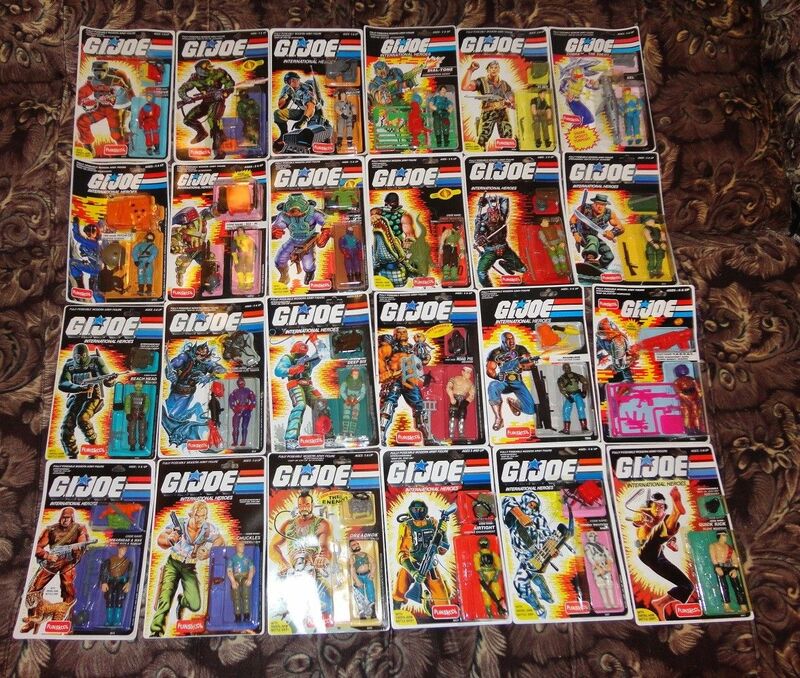 I almost have the GI Joe side complete, too– I just need that pesky Cloudburst! While not every figure I have is complete or perfect, 1991 is the only GI Joe year I’ve set out to complete so far. That’s because it’s easily my favorite GI Joe lineup. 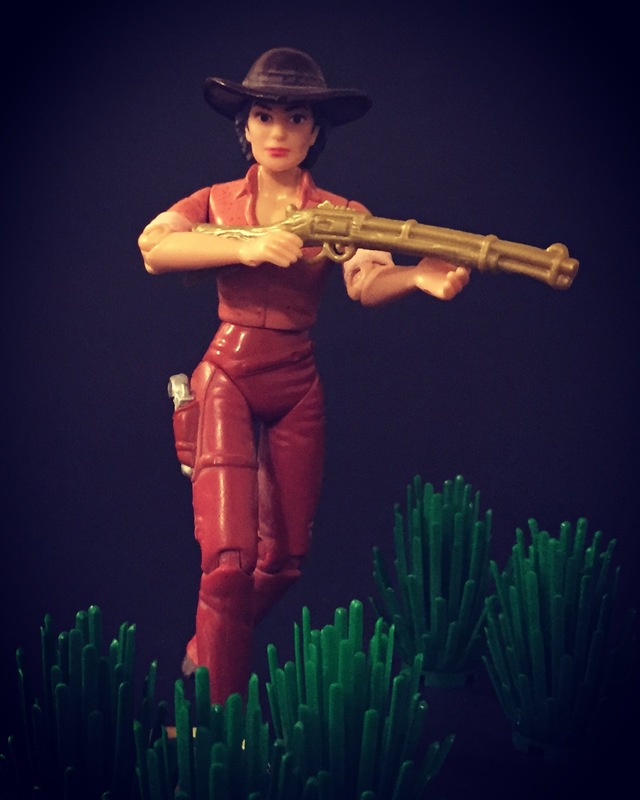 As a kid, I had a few figures from 1988 and 1989, and even one from 1987. I had a good amount of the 1990 roster, and those figures were excellent, but it was a year full of all new characters. As a kid, I wanted the characters from the Sunbow cartoon and the animated movie. 1991 fulfilled that desire. It gave us Cobra Commander, Hawk, Snake Eyes, Zap, Grunt, Falcon, Rock n Roll, Major Bludd, Flint, Low-Light, Dusty, Mercer, and Sci-Fi. It also gave us fantastic new characters like Heavy Duty, Cesspool, Interrogator, Big Ben, Red Star, and Ozone. The accessories were still good and still specifically made for each character. To me, it’s the best Joe year of all time. I was only 6 or 7 when I got most of the 91 figures I had as a kid, but it was my first real chance to have versions of the characters I knew. And the accessories were a bit less confusing to a kid than the complicated setups from 1990. But, in this quick feature, I want to talk about the 1991 Cobra roster. I’m more into the Joe side than the Cobra side, but this month it special– it’s Cobra Convergence 3! 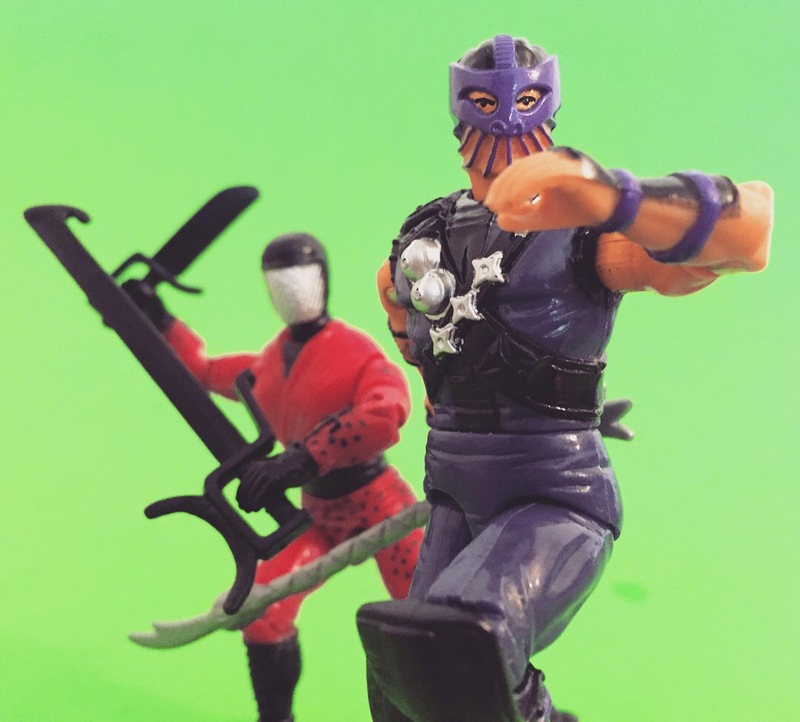 YouTube toy reviewer Hooded Cobra Commander 788 spearheads Cobra Convergence every year, and this time he’s asked bloggers, photographers, and other creators to contribute. So, this is my humble entry. Let’s take a look at why 1991 was just as much of a banner year for Cobra as it was for GI Joe. So, as it turns out I’m not dead. Which is good, because often dead people become ghosts. And if I were a ghost, I most certainly would have been busted due to this blog post. This is a convoluted way of saying I roped three of my friends into drinking expired Ecto Cooler with me, even though there’s not even a dang ghost on the can anymore. No ghosts to bust here, neither human nor aluminum. If bustin’ can’t make us feel good, then what possibly can? Hopefully the answer lies in expired Hi-C Ecto Cooler. 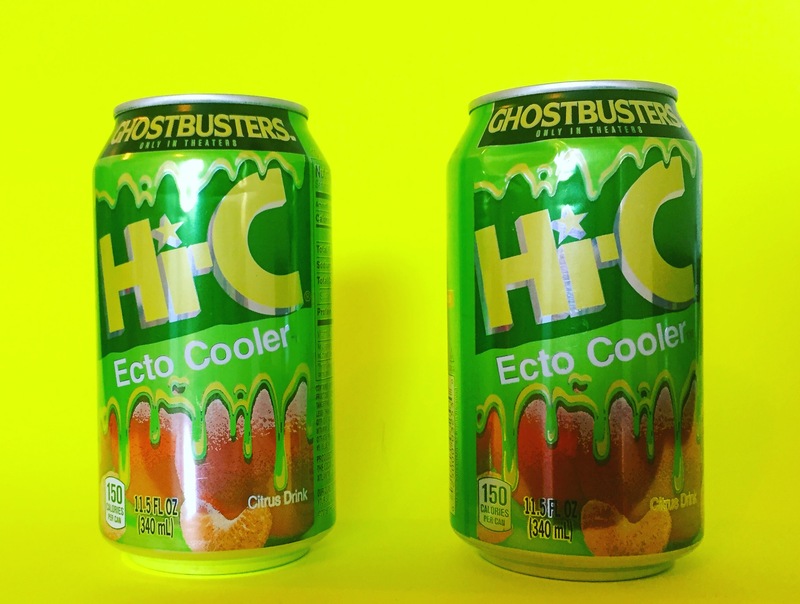 In the spring and summer of 2016, Hi-C rereleased Ecto Cooler into the wild. It was impossible to find in Boise, so I had to live vicariously through social media and Dinosaur Dracula posts. Ecto Cooler was a big part of my childhood, though, so I was pretty bummed out about the whole thing. I drank a LOT of Ecto Cooler as a kid. Those juice boxes were my favorite. They bring back memories of X-Men pogs, staying in on sunny summer days and watching reruns of Welcome Back Kotter (I think there’s a Smiths song about that), and reading Star Trek novels I barely understood. The thing is, I’m not a Ghostbusters superfan. I ADORED The Real Ghostbusters as a very young kid, and spent a lot of time watching the cartoons and playing with the toys. My mom even bought me the cereal, and said she’d order me whatever prize was on the back if I ate the whole box. I didn’t like cereal, though, so I’m not sure what I was thinking. The first bowl she poured me, I hid under the kitchen sink and said I finished. She was very proud of me until she found it that night because the milk began to stink. I did not get that prize. Sure, I like the films. My dad showed me Ghostbusters 2 at a tender young age and it scared the piss out of me. Especially those minks, man. I liked the first film when I eventually saw it around age 10 or so. Still, the cartoon holds the most nostalgia for me. I do appreciate the movies, and the franchise as a whole, but I’m more of an Ecto Cooler fan than I am a Ghostbusters fan. As it turns out, Ecto Cooler was a rebranded Citrus Cooler that was first released in 1987. I don’t imagine I ever had it until 1991 or 1992, so I always thought it was a 1990s thing. As it turns out, Ecto Cooler is one thing Gen X and Millennials can both agree on. So, I was very excited when my friend Beer Baron sent me two cans of the 2016 Ecto Cooler in the mail. I’d never had Ecto Cooler in a can before. What a novelty! Profile: Stardate 48271.5 Deadwood, South Dakota. The site of a wild west holodeck fantasy set on Earth in the 19th Century, unfortunately programmed by a notorious pervert and Worf’s idiot son. A stranger by the name of Durango wanders into town. Durango is really Counselor Troi, who has entered the Holodeck to join Sheriff Worf in the quintessential western saga which, again, was programmed by an idiot and a pervert. The Holodeck program created by Worf’s son, Alexander and his friend, Reginald, malfunctions. This strangely wasn’t due to their incompetence, but due to the fact that Captain Picard yelled at Geordi and Data for interrupting the recording of his new space clarinet mixtape. The corrupted programming on the Holodeck spawns multiple Datas with the simulation. Geordi wanted to get back at Picard, so he plugged Data’s brain into the Enterprise, and replaced all recreational activity and food with cat poetry and Friskies. Meanwhile, on the holodeck, Troi unfortunately didn’t get to do very much. Rumor has it that DICE was once a Cobra NIGHT CREEPER, but was kicked out for being TOO evil! He refused to donate to the Broca Beach Fire Department for their annual Cobra Hook and Ladder Viper calendar, and that was more than NIGHT CREEPER LEADER was willing to tolerate! Dice operates as a partner to the Cobra Ninja Swordsman SLICE, specializing in choke holds, pressure points, snares, traps, blunt instruments, woodwind instruments, and eye-gouging. His weapon of choice is the Bo-Staff, which he can manipulate with blinding speed and bone crushing power. It’s a hockey stick, wrapped in duct tape, with a steak knife taped to one end, but that doesn’t seem to blunt its effectiveness in combat. His most dreaded technique is a motion he calls the “Flying Dragon.” Everyone else calls it “a sort of awkward backhand slap.” Dice is most troublesome when he gets behind the wheel of the Cobra Rat, simply because he never wears his glasses while he’s driving. Back in November, I bit the bullet and ordered a lot of 24 Russian Funskool GI Joe figures from eBay. It’s possible you’ve seen the lot, as the seller seems to have many of them, and it’s also possible I directed you to the lot. I’m seeing these pop up a lot more on Instagram now, where people are selling them for over $25 a piece. 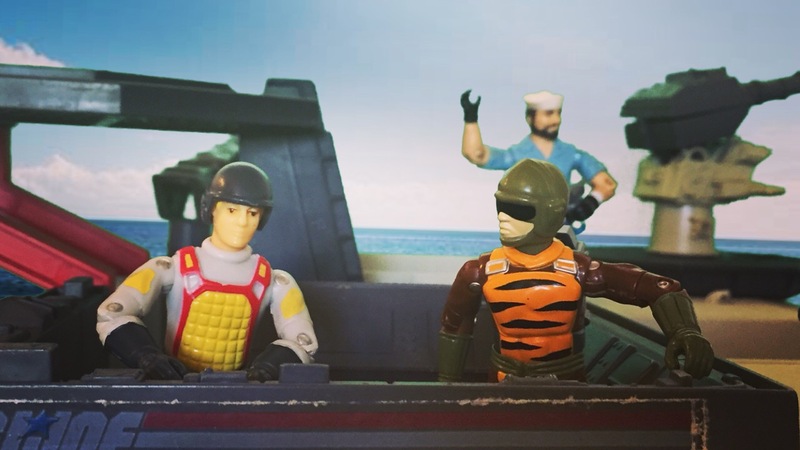 I ended up paying about $6 per figure, which is a fair price for any carded GI Joe– Funskool or not. 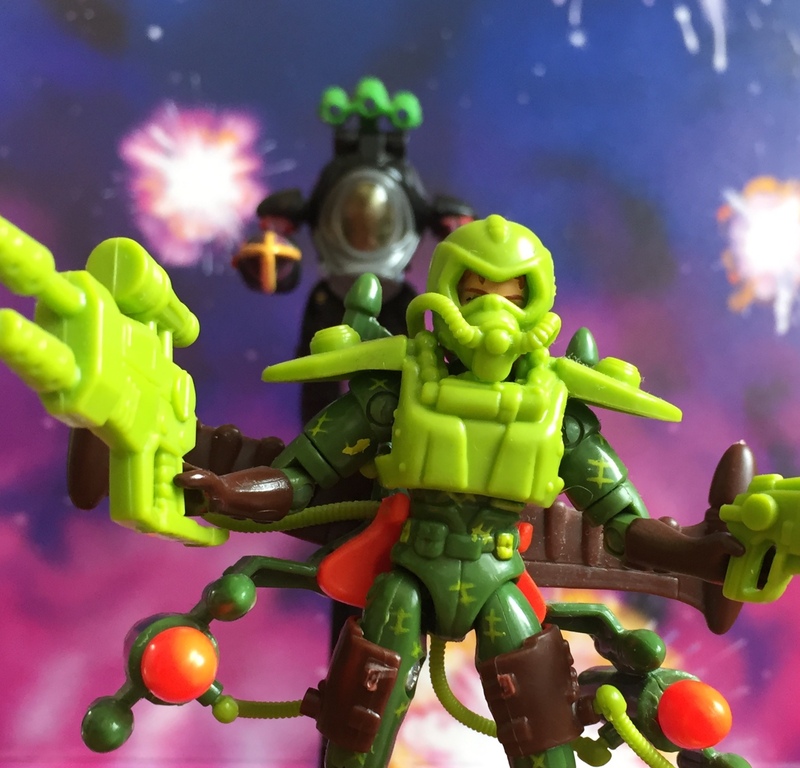 Funskool released Hasbro molds in India for quite a long time. And, for a while, they were cheap and readily available. In the early 00s, you could get many figures for $5 or so from YoJoe.com and SmallJoes.com. As I was around 16 at the time, and my income was Pretty Bad, I only ever got a few of them. A Hydro Viper, a Cobra Eel, A Toxo-Viper, and Tunnel Rat. I’ve kicked myself many times for not scooping up Night Vipers and Crimson Guard Immortals. But I can’t change the past, since time travel is socially irresponsible, so there’s not much I can do about that now. Funskool GI Joe figures are much more expensive now than they were then. I’m not sure what the distinction between the Russian and Indian versions of these figures are (as my Russian and Indian Hydro Vipers and Eels seem nearly identical, for example), but none of them should fetch $35 carded. But the GI Joe market is weird right now. Anyway, if you’re looking into buying any of these figures, I hope this post helps you. I’ll be keeping each figure’s write up short and to the point. Also, if you do decide to buy these, I recommend buying them in a lot from Russia, as that’s bound to be cheaper than buying them for $20+ each. And before you say “wait these aren’t from the 90s,” understand that at least some of them are 90s molds, understand maybe some were released in the 90s, and understand that I absolutely don’t care. Dossier: Rita Torres is second to J.T. Marsh in the chain of command for Able Squad. As Field Sergeant, Torres is often first to engage Neosapien fire. On the ground or in the air, Torres is one tough leader. She follows the ExoFleet handbook to the letter, which often puts her at odds with the unorthodox procedures of Wolf Bronski. With her Field Sergeant E-Frame at her command, Torres is never one to retreat from heavy ordinance Neobashing. She is able-bodied, level-headed, and objective-oriented — a perfect soldier of combat. Apocalypse rises from his chambers and makes his intentions known. After he does his pees and poos, of course. 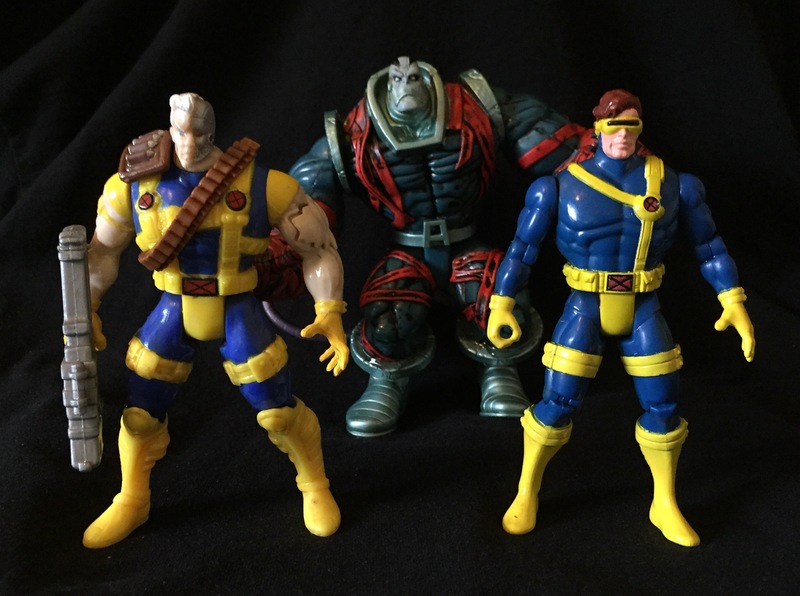 Proposing an alliance with his greatest foes, the X-Men Missile Flyers (sold separately), Apocalypse seeks to destroy the power that is Onslaught (sold separately), while secretly planning to steal it for himself. Shoplifting is bad. Our Quality PRoducts are worth Full Retail Price. Weakening Onslaught enough for Professor X to be released from the drunk tank and put on bond, the villain Apocalypse departs the IHOP parking lot and readies himself for a time that he would call the world his own. And he’ll prove it’s flat, once and for all! Dossier: Colleen O’Reilly is the communications and ExoTech specilist for JumpTroop: Charlie-Five Squadron. She’s gutsy and outgoing. O’Reilly has a photographic memory and can hotwire just about any electronic device in the HomeWorlds. As one of only three ranking officers in Charlie-Five, O’Reilly interfaces with Able Squad and has developed a special camaraderie with J.T. Marsh. Under cover of her Venusian Defense Cammo, O’Reilly can touch down in her UltraLight Rapid Recon E-Frame, blast her way into Neosapien strongholds, electronically sabotage Neo security and be out in time to join primary ExoForces in battle. 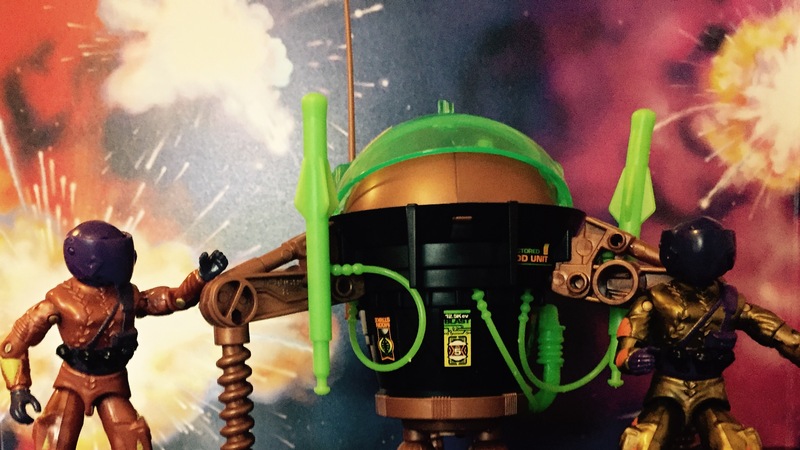 It’s Cobra’s interplanetary attack craft that’s “hoppin” mad! 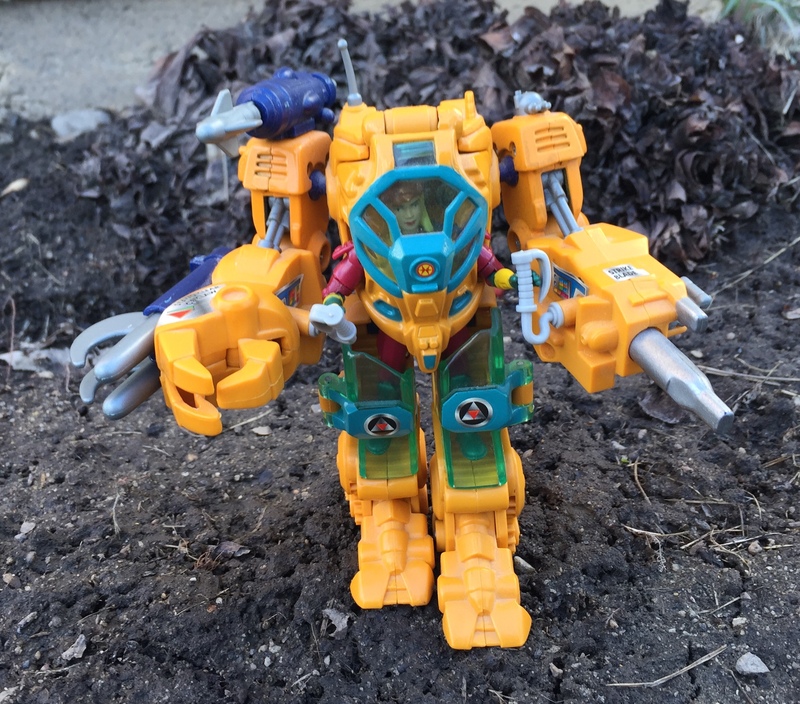 It’s also sincerely “hoppin” you won’t notice it’s just an older toy, which no one liked the first time around, with a missile launcher glued to one of its legs! The INVADER attacks by plummeting from the upper atmosphere and pouncing on unsuspecting victims dwelling on planet surfaces. That is, it would if its targeting read out was any larger or more sophisticated than a Sega Game Gear, and its pilot had even rudimentary military training. Instead, when you see the INVADER coming from a mile away, you’ll notice it looks like a big neon blender with legs, and you can just either take a few steps to the right or get into your car and go out for a pack of smokes. Don’t worry, the INVADER isn’t going anywhere. Regardless, this ballistic battle ball features lunar landing legs, an opening command canopy, and a spring-fired missile launcher. So basically it fires one shot, it can fit a plastic spaceman in its neon green innards, and it can stand up on its three legs. And we use the term “stand up” in the loosest possible sense.